The polyurea technology is an excellent coating and lining system for a variety of cooling tower project works. It has proved to be an effective and successful lining system for many years. Due to past experience with this technology in a Houston hospital cooler tower lining project, Brandt specified the use in a recent cooling tower expansion project at Texas A&M University. 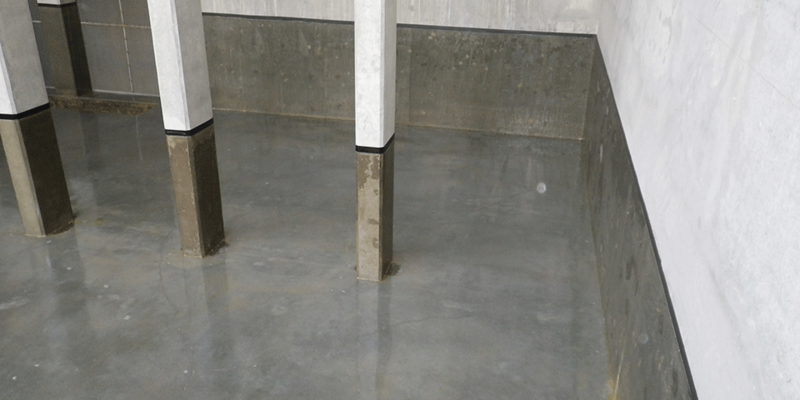 Surface preparation of the new formed concrete basin was completed by abrasive blasting using #5 quartz media, following SSPC-SP 13. This produced a Concrete Surface Profile (CSP) of 3, as per ICRI No. 310.2R-2013. A ¼” (6.4 mm) diamond blade was then used to cut a termination groove / joint around the complete interior perimeter, and around the interior columns, above the water line within the cooling tower pit. The area was then vacuumed to remove all dust and debris. 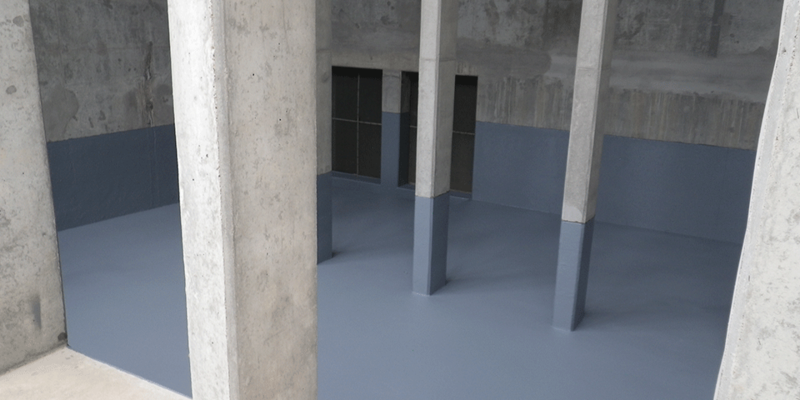 The prepared concrete surface was then primed using VersaFlex VF 20 urethane primer. 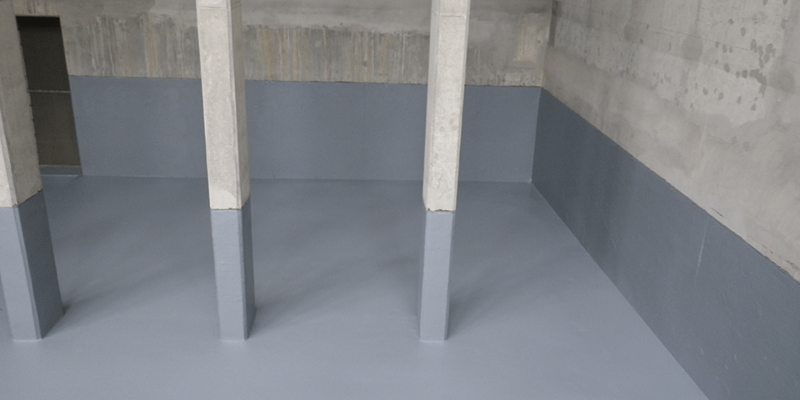 This is a specialty designed 100% solids penetrating primer for concrete surfaces that also reduces moisture vapor emission in concrete. 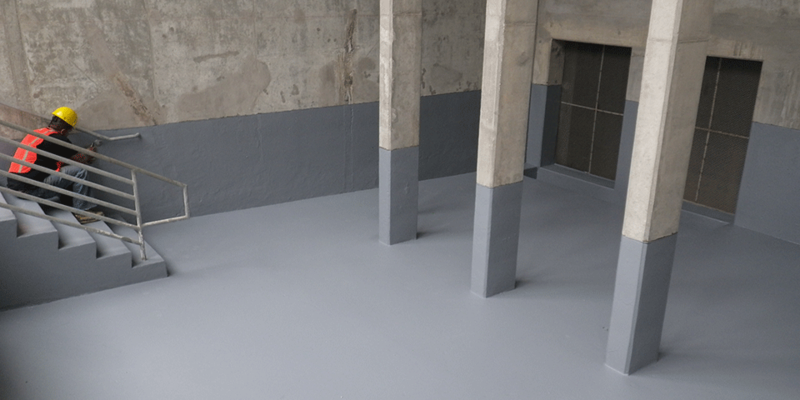 The primer was applied at 8 – 10 mils (200 – 250 µm) using rollers. Minor bugholes were prefilled using a moisture cured urethane sealant. 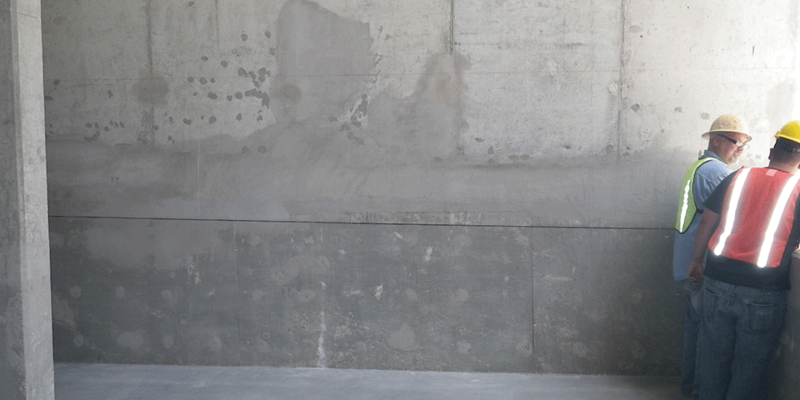 Minor infiltration of water at the stair area was plugged using hydraulic cement, prior to priming. 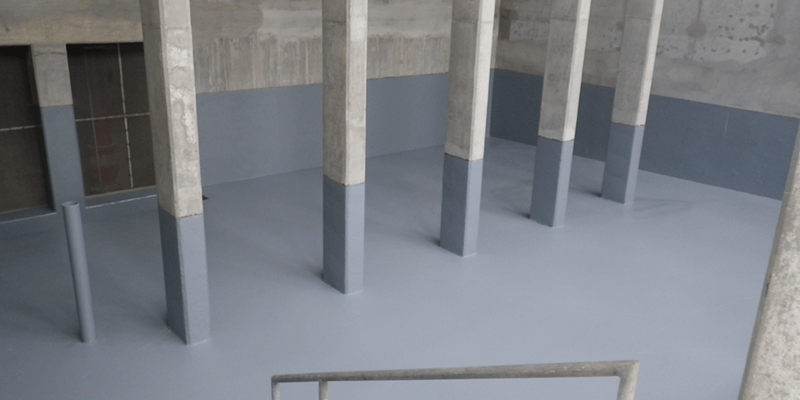 After priming, the cooling tower basin was lined using the VersaFlex FSS 45DC aromatic polyurea system. Application was completed using a GRACO Reactor H-40 proportioning unit, fitted with a GRACO FUSION AP impingement mix spray gun. 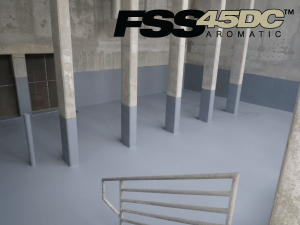 The FSS 45DC was applied at a minimum average 80 mils (2 mm), confirmed using a Positector Advanced gage, fitted with a Positector 200 D probe, as per ASTM D 6132, and SSPC-PA 9 procedures. 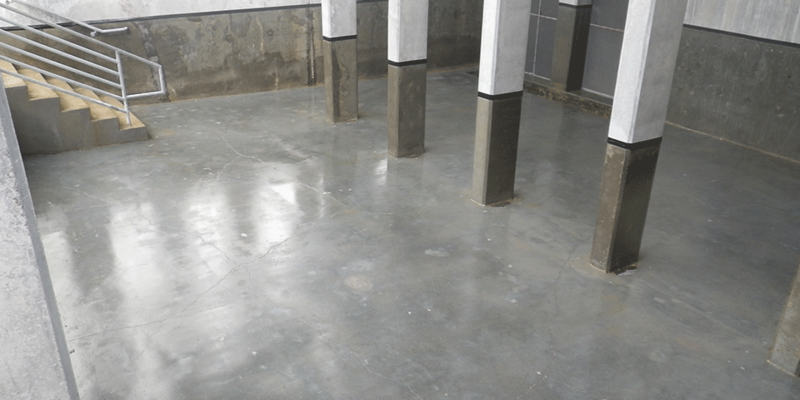 Minor spot repairs were touched up using the VersaFlex HM/45 polyurea repair system. The cooling tower project lining work was completed within 1 week.